I ordered a Pom Maker tool and went a little overboard on making pom poms this Christmas! I got this far and ran out of yarn! fortunately, my mother in law haD a good supply of yarn and I was able to keep POM and carry on. The wreath wasn't done until after Christmas, but at least it will be ready and waiting for next year's festivities! Or perhaps I'll just bring it indoors to enjoy year-round. It's nice to pet it once and a while! I hope you had a lovely holiday and are feeling rested and ready for the year ahead. As I mentioned in my newsletter today, one of my goals for 2016 was to revamp this website. It's the digital window into what UPPERCASE is all about and very often the first in-depth experience someone will have with the magazine before they subscribe or see a copy in person. The site really needed some focus and a much stronger home page. And in the backend, I've had my site hosted with Squarespace for a decade (!!!) and the navigation and organization was getting out of hand. I've been thinking about the redesign for months—gathering ideas, jotting notes, saving urls on websites that I like, musing about it, wishing it would magically get done by itself... but my print projects always necessarily take the forefront of my to-do list. And readers will know that I put out a LOT of pages in 2016. Four magazine issues and the 544-page Feed Sacks book! With my workload done for the holidays and some mental space to tackle a medium that's quite a bit different than print, I started fleshing out the site redesign. I selected a new Squarespace template (I'm using Five) and got the basic framework ready. Full screen video on the home page has been on my wish list for years and I'm happy that there's the support to make that very easy to do now. With issue 32 fresh from the printer, I shot three different videos, trying to get the best possible result. I'm still not 100% satisfied with the video on the home page, but I'm sure I'll improve it with each subsequent issue. I'm a learn-by-doing sort of person! The new design went live yesterday and there are still some elements to smooth out and improve upon, particularly on the blog page and some typographic elements... but the best thing about it is how this online renovation makes me feel enthusiastic and energized about the work I'll be doing in the coming year. A fresh new home for the new year. There are two new volumes in the Encyclopedia of Inspiration in progress: Botanica and Stitch•illo will be coming your way in the first half of the year. (You can still order the set and Feed Sacks will ship right away or you can purchase the books individually.) I have more plans and projects that I look forward to sharing with you soon. And of course, the mainstay and core of what I make and do: UPPERCASE magazine. The January/February/March issue is on its way to subscribers and will soon be at stockists worldwide. 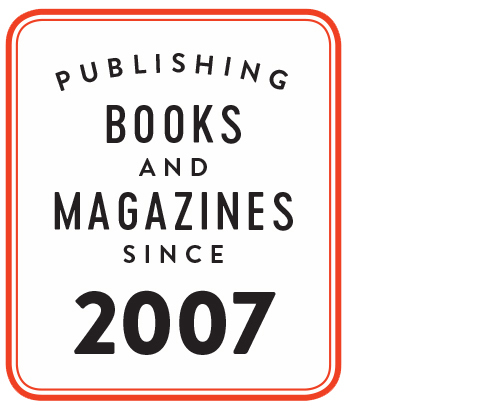 Want to published in the spring issue? The open calls for submissions are posted and submissions are due January 16.